People make mistakes with their computer security all the time. 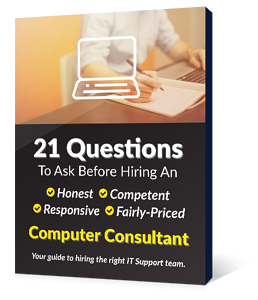 Usually with small mistakes, your IT support department can iron things out before anything goes catastrophically wrong. However, without care, a computer network can go bad very quickly. 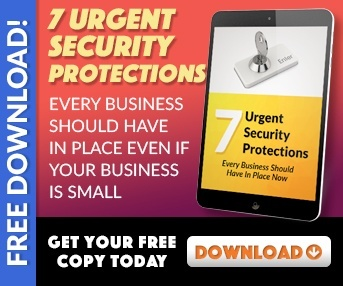 Businesses of all sizes are vulnerable to hacks. From a local diner's website to massive giants like Target, everyone is (and has) been the target of hacks. Some simple mistakes that everyone makes ought to be corrected to provide overall security to your organization. 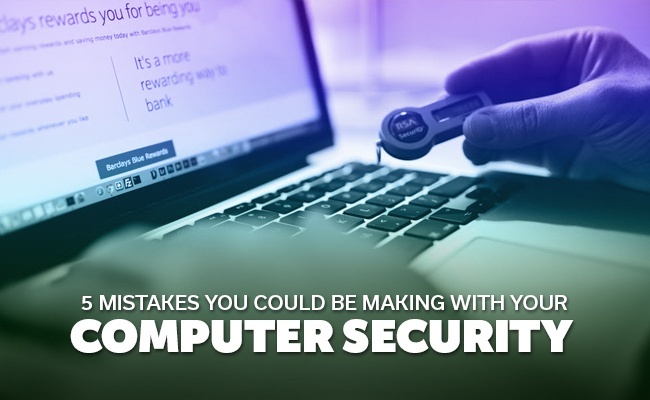 Read this blog post to learn the 5 Mistakes You Could be Making with Your Computer Security. Wi-Fi is everywhere. It's how we connect to each other, to databases, to everything we do! For this reason, it's important that you're using secured, non-public Wi-Fi. Wireless hotspots that are insecure (i.e., they don't require a password), such as those at coffee shops, are fraught with hackers. Sending data through these networks is incredibly dangerous, and can easily be snatched up by a hacker with the right tools, and exploited for his or her own gain. A password is the strongest, and simplest line of defense against hackers and data breaches. Most people know that easy to guess passwords such as "password" or your own name are nearly as bad as no password. However, most people don't know what constitutes a really good password. Strong passwords are first and foremost, long. The longer a password, the harder it is to guess by 'brute force' techniques. This means using a computer program to guess every possible combination of letters. With every additional letter or number (or special symbol), the calculations to break this password become exponentially more costly. Most hackers don't use 'brute force' attacks anymore. Instead, they try to guess common words and numbers. For this reason, it is best to avoid names, places, people, and dates in passwords! At EnvisionIT Solutions, we have no greater nightmare than a user manually disabling the anti-virus software on his or her workstation. Certainly, anti-virus scans can be obnoxious at times, slowing down the system, and potentially confusing users with pop-up messages. However, disabling it is a very, very bad idea. Many people think that anti-virus software doesn't do anything for them. That's because if it is doing its job right, everything is running smoothly and properly. While this is a grim reality to face, studies have shown that a large amount of computer attacks come from people with physical access, meaning in front of the actual computer, in the office. This is something that is very hard for your IT Support to detect, as it is hard to know what's real use and what's malicious use. Fortunately, all Windows computers are able to lock, using the Windows key + L button! Mitigating these attacks can be just that easy! Delaying updates to any software, be it Windows, anti-virus, or Java, etc., is like leaving open windows for burglars to enter through. These updates are often made to patch holes that have been previously exploited. Once a vulnerability like this is known, is used for attacks even more than previously, so patching it in a timely manner is very important. Hello! I am the Sales Manager and one of the Senior IT Consultants @ EnvisionIT Solutions. I help our clients envision great technology solutions that help their businesses grow. Let me know if you have any questions. I am an avid outdoorsman who loves fly fishing and camping.